I should start out by telling you that I haven't always been a minimalist. I used to purchase crazy amounts of clothing, random items for my home, honestly wasn’t interested in a minimalist lifestyle, and so on. I would hoard all kinds of things, hoping that one day I would find a use for them. I actually told myself I needed those things, which lead to overspending when I should have put my money to better use. Then, a few years ago, I realized that I had an unhealthy relationship with material things. It wasn’t just that I had too much stuff, it was that I was overspending to compensate for being unhappy with my job, among other things. Things really started to change for the better when I quit my day job to blog full-time. 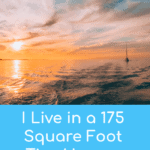 And, once we decided to travel full-time, at first in an RV and now a sailboat, I’ve had to donate or give away the majority of my belongings. Getting rid of all of that stuff was hard, but now I pretty much only have the things I need to get me through the day or week ahead. Honestly, I love it so much better this way! 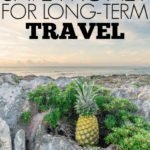 As a full-time traveler, there is no extra, and before I purchase anything, I have to really consider if that item will be useful because there is only so much we can carry. I never intended to live a minimalist lifestyle, but now that I am, I am so much happier! I know that not everyone wants to be a minimalist. And, I'm not pushing it on anyone. I know that buying stuff isn't all bad, and there are many material things that can make your life easier. 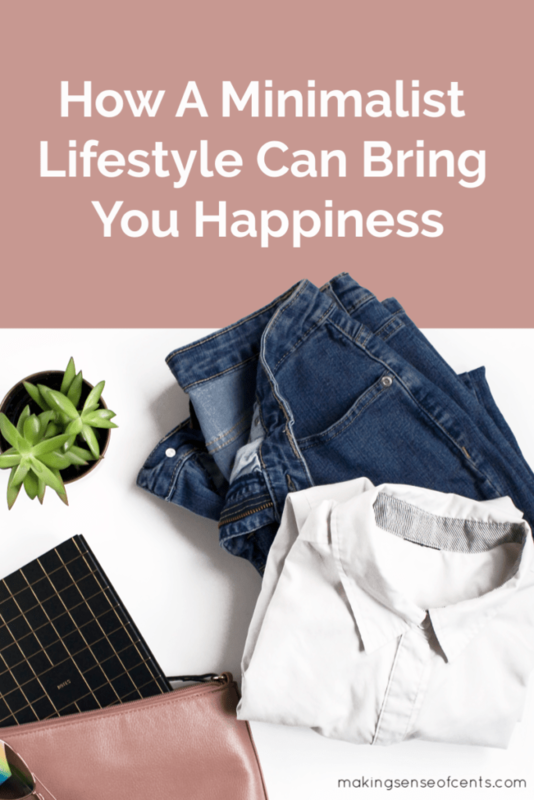 My goal today is to just introduce you to the idea of living a minimalist lifestyle, especially since the average person has a lot of extra stuff in their life that they don't need. This can lead to debt, buying things just to impress others, wasting time, and so on. Plus, being a minimalist has changed my life for the better, and I believe that it can help others as well. Prior to living a minimalist lifestyle, I used to spend a lot of time thinking about spending money. That alone was stressful, and I am far from that now. It’s easy to get lost in the idea of spending money on things to fill your life, like filling your closet, your home, etc. And, if you consider that home sizes have grown significantly in the past few decades (according to the U.S. Census Bureau, they have increased from 1,000 square feet in the 1950’s to nearly 2,600 square feet today), it’s easy to see how far from the minimalist lifestyle many of us might be living. Is Too Much House Making You House Poor? Living In a 200 Square Foot Tiny House – Could You Do It? A minimalist lifestyle can help you save more money. Minimalist living most likely means that you'll be buying less stuff. Buying only want you need will definitely lower your spending and help you save more money. A minimalist lifestyle means less clutter. Clutter can take over a person's life. You may feel stressed out, tired, overwhelmed, and more. A minimalist lifestyle can give you more time. More stuff also means you are probably spending more time on cleaning, maintenance, and repairs. But, by living with less stuff, you don’t have as many material things to care for, which costs time and money. If you downsize your life, just think about what you could do with all of that extra time! Like I said before, I used to spend way too much money on clothes! Throughout high school and college I worked at a resale clothing store, and it felt like I was constantly coming home from work with more clothes. Now, because they were resale, I wasn’t paying the full price, but I didn’t actually need those things in the first place! 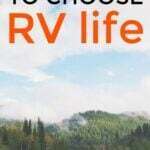 After downsizing to move into an RV, and then downsizing a little more to move into our sailboat, I’ve learned that I don't need much in order to be happy. If you were to see what’s in my closet now versus what I used to have, you would be shocked. I really did think that I needed all the clothing in the world in order to be happy, but now I know that I really don't need much at all. In fact, I hardly ever purchase clothing, and I've been wearing nearly the same things for several years – I’m even wearing shirts that have holes in them! For me, it's now about buying things that are more “classic” and won’t go out of style, plus I look for quality over trendy things that will probably fall apart on me. It feels great when you realize that you don't need all of that extra stuff in your life. Instead, purchase what you want and need, rather than thinking about keeping up with others or falling for the idea that emotional spending is something that will help you. A minimalist lifestyle gives me more time. Minimalist living allows me to have more time to spend on other things. Just think about it – the more material things you have, then the more time you have to spend on using them, maintaining them, repairing the, cleaning them, and so on. I would much rather live with less than think about all of the things that I own that need work done to them! With minimalist living, I've realized that I don't need much. Before I was a minimalist, I kept a lot of things because I thought I needed them for the future. I was probably only regularly using about 25% of the things I had in my house. In reality, it was probably even less than the 25% figure that I just said above. I know I’m not alone, and many people keep items because they think they might need them in the future. You know the feeling – you buy something, don’t use it right away, find it years later, and now you still can’t get rid of it because you think there will be some circumstance when you need that exact item. If this is you, then you should put a timeline of no more than one year on the item. If you don’t use it in that timeframe, then there’s a big chance that you’ll never need it or will even miss it that much. Instead of buying items that you rarely use, you may want to think about renting or borrowing them from someone else. When I think about how much stuff we gave away, I honestly can’t even remember half of the things. I realize now how little we really needed, and those things definitely did not make me happy if I can't even remember them! I save more money by living with less stuff. Now that we’re living a minimalist lifestyle, we are able to save a great deal of money. Instead of thinking that we need everything out there, we are now much more realistic about our needs. We’ve also been able to realize that most of the things we see in stores are really just clutter, for us at least. Plus, now that I realize how much money I’ve wasted over the years, I am able to say “no” at the store when debating whether or not I should purchase a certain item, especially one that might create clutter. Even if you don’t live in a boat, RV, or tiny house, you can still have clutter. I can also walk into a store and only buy exactly what I need, even if that store is Target! I have so much more control over my spending and that has saved me a lot of money. I understand now that I don't need things to make me happy. Having more things doesn’t make you a happier person. Things don’t make you a better person, they don’t make you more successful than others, or anything else. In fact, in many circumstances, it's far from that. I know this because I have less stuff than I have ever had, and I am happier than ever. Before I was living a minimalist lifestyle, I actually had a lot more stress and frustration in my life. I realized that those feelings were in part because I wasn’t using everything I had, I felt guilty about how much I was spending, and that physical clutter was becoming mental clutter. If your spending and stuff are causing negative feelings, it’s time to make a change. You should only own something if you truly want or need it. Who cares about what everyone else has! A minimalist house allows me to travel. Because I travel full-time on a sailboat, I must maintain my minimalist lifestyle. And, it’s not hard for me to choose a minimalist lifestyle and boat life over the clutter I had before. It would be quite hard and not nearly as enjoyable if I had a bunch of things holding me back. 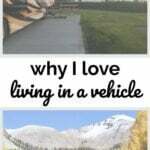 I really, really love and enjoy being able to travel full-time, and it is one of the best benefits of living minimally. Do you think minimalist living could change your life? Why or why not? When was the last time you did something that scared you? The best thing I’ve personally found about adopting this mindset is the peace of mind. I can sleep easier knowing that if all my “stuff” were taken away from me tomorrow, I’d be okay with it because stuff doesn’t define who I am. It changed the way I perceive not only material things, but how I look at myself as well. Great article! It’s amazing the mindset change when you start living as a minimalist. You heard ads and think, Why would I buy that? I don’t go shopping to shop: I go shopping because I need something. It makes such a huge difference in the budget! Couldn’t agree more! 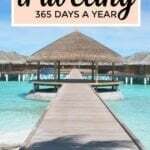 Being able to pack my entire life up into two suitcases and move to the other side of the world a couple of years ago felt so empowering – and while stumbling into a minimalist lifestyle didn’t start out as a way to save money, it’s certainly had that effect! As you mentioned, it’s not just about saving money on what you don’t buy now, but it’s the mindset that means you’re not buying unnecessary things in the years to come that will really help our savings add up! My intuition about making purchases. For example instead of an evil twin that says “go ahead, buy it” I hear another voice says “do you really need that?” And more often than not I delay my purchase or forget it altogether. I was also quite fond of French perfume but my sweetie bought me a very nice scent for a reasonable price, and people compliment me on my scent! It cost so much less, and it’s great! We also like second hand shopping- we find real treasures for pennies, and for the first time in my life I have saved a security reserve fund – this means a lot to me and gives me peace of mind. Especially being self employed. Thanks for writing about such an important and relevant topic! Haha, I’m actually the same way! This is sooooo true! I first got rid of stuff to live in a Toyota Prius, but I still held onto a ton of it in a huge storage unit! Including my bed! Now that I live on a sailboat, I’ve gotten rid of almost everything. My clothes fit in the back of the van I use for camping, and a few bins of childhood belongings are at my mom’s house. It’s really the best feeling in the world. Imagine if everyone lived with less stuff – how much happier everyone, and the earth, would be 🙂 So glad you’re encouraging people to live with less. I have moved so many times in my life (and culled in the process), and have done decluttering every few months or so, that I pretty much love all my possessions. I follow the useful or beautiful mantra. We also live out in the country so most of my shopping is done online and in terms of clothes, I often put stuff in my trolley and then look again the next day – 9/10 times I no longer want what I had spent hours drooling over the day before! I have a list of things I want and I look at it once a month or so to see if I still want it. We also save / invest the day we get paid so there is little money to waste just buying “things.” I love the way I live. It’s simple and easy! Yes, I’m the same way! I won’t purchase online right away – and then when I go back to the online store, I usually don’t want it later. Being a minimalist can provide a more healthy mindset because you don’t have to think about trying to buy this or that and keep building that clutter. Shopping for what you need and what you want definitely helps you in the wallet and provides clarity so you can focus on more important matters. Yes, I’ve had years of world travel carrying all my things in two bags–and those things informed me about myself and what I valued. Before, whenever I’d make an attempt to fit into a pre-prescribed life, I was not happy buying things to define me or a certain lifestyle I was expected to live. But then, again, years later, I got stuck with a house I inherited and tried to renovate to suit me. I ended up selling it and traveling again with a bare minimum of stuff. I’ve been able to go places and do things that I’d dreamed of for so long. Hey, Michelle–would love to see a few photos from a corner or two of your living space. Isn’t it wild how you just don’t miss the stuff you donate/toss out? I’m so sensitive and tend to hold onto sentimental things (but like, things I’m being dramatic about, like not getting rid of a t-shirt my mom bought me just because… she bought it. ugh.) and I’m learning that more and more. You make some good points – hoping to lean out even more over the next year! Love this! It’s so easy to get stuck in the vicious cycle of thinking you need a ton of ‘stuff’ that you’d actually be just fine without. Sadly, a lot of the time it comes from a place of trying to compensate for unhappiness or to impress others. Glad you were able to find happiness in the minimalist lifestyle! I really love that point on how you have much more time if you adopt minimalism. Lesser things to worry about! Also – everything around the house looks a lot neater and pretty! I am a freelance writer and blogger – from the time I left 9-5, I feel I have literally stopped buying clothes. My clothes from 2-3 years back are still intact! It’s amazing how “stuff” doesn’t make you happier. Instead it’s relationships and achievements that gives true pleasure in life. The rest of the stuff is just….stuff so get rid. I just had to double back and add my humble to sense and saying that I am guilty of recently purchasing another pair of Nike Jordan Retro 12 sneakers because I always wanted a pair of Jordans since I saw them on some people in my former class back in 1990 – 1991 but could never afford them. I purchased my first pair of Jordans in 2017 and I was happy to be the proud new humble owner of Michael Jordan Retro 6 alternate sneakers. I waited 26 years indirectly just owned a pair of Air Jordans. Now that my closet is pretty much renewed with new clothes and stocked up with shoes, sneakers and boots and moccasin loafer driver shoes, some by Polo Ralph Lauren, I’m striving nowadays even with a nice fragrance collection of over 50 different fragrance styles to minimize my spending and keep my credit score on the plus side of things. I’m just about to hit the elite credit score rating and I want to keep my spending nowadays at a minimum because I just learned through writing reviews that I can earn all of my money back from purchases I made slowly but surely by writing reviews about what I have and how good it is and adding affiliate links or advertisements so that others can possibly purchase what they see. Having less stuff seems to equate to having more freedom….less stuff to keep track of, less stuff to make messes with, less things to spend your money on. I just need to get my kids on board with it regarding their massive toy collection that’s gathering dust. I have been trying to go minimal! I read The Life-Changing Magic of Tidying Up a few years ago and ever since then, I’ve been obsessed with cleaning out my closet and anything that is in “storage”. I truly believe that if anything is hidden in a closet, that chances are you don’t need it. Also, I’ve been getting rid of furniture and anything I see on a daily basis around the houses that I am not completely in love with. Totally is so much better for my mindset too! Ever since I started traveling, materials really don’t mean anything to me. I love following you! My husband and I joke about wanting to live in a tiny home when in reality, we have a pretty small home that always feels too small as it is 😅thanks to extra clutter. We’ve also been on a get out of debt journey so our spending has decreased quite a bit in the last few years, but your comment about your unhealthy relationship with material things due to unhappiness elsewhere really resonated. It’s pretty sad when the only excitement you feel in a month is waiting for a package from Amazon. Not to mention, if I tallied all of the hours I’ve spent cleaning/organizing/tidying my home, I think I’d sit in a corner and cry. What a waste of life. These are all such great reminders to help disconnect from material things and instead, connect with ourselves, the world and people around us! Thanks for sharing! I agree with you, Michelle, having less stuff mean tons of time in hand to enjoy with your family. Mess takes your life away from you as you spend tons of time cleaning. I am learning this the harder way and getting rid of a lot of stuff. I am on a path to decorate my house with less to get more freedom in life.